As a Brand Ambassador and Life Style Blogger for Verizon #VZWBuzz. 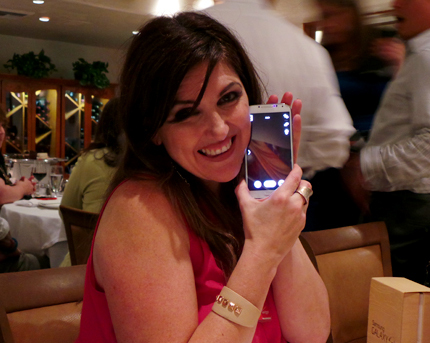 I'm given fun products by Verizon to try out, like the Jawbone UP and Samsung Galaxy Camera. I give my honest feed back. My opinions are my own. Recently, I was invited to the Verizon headquarters in Orange County to learn more about Verizon and their products. That will be in another blog post. During dinner that night with great food and friends. 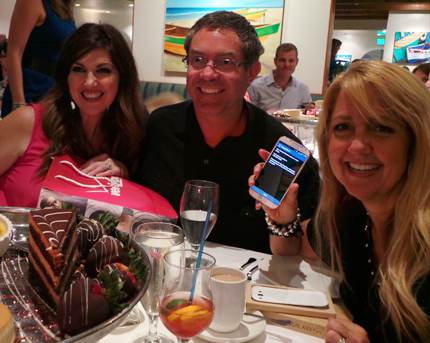 Verizon surprised everyone with a new Samsung Galaxy S4 Phone. The crowd goes wild!! I really wanted to check out the Samsung Galaxy S4, even though I am more of a iphone guy than Android. After using the S4 for couple weeks. I am really surprised how much I like it. Dare I say, I love it. Android 4.2.2 Jelly Bean. It's pretty speedy and responsive. I'm always on the go and at events. As you may or may not know, I'm a tweeting and social media maniac! I need all the speed I can get. I'm also loving the 5” Full HD Screen at 1,920 x 1,080 resolution. The larger screen is such a plus but not overly huge. S4 fits in your hands well. With the larger screen, it really helps me to see my photos, websites and smartphone text much better now. The 13 mega pixel camera takes great photos. I love that it has different settings that help you take better photos depending on the lighting conditions. One of my favorite modes to use is HDR. I use that one a lot in dark environments or in general. I also like the fact that there are many photo editing apps on Android. Not just photo editing apps but advanced editing apps for free. Like Snapseed, Aviary and Photo editor. All the apps are very useful to me. I usually, edit the photos on the fly. Then push out to all my social networks during events and conferences. I also use Photo Grid, a photo collage app. I use Photo Grid so not to flood my social stream with too many photos at once. Calvin, Great post! Just love the Aviary App--makes everyone look young and glam! 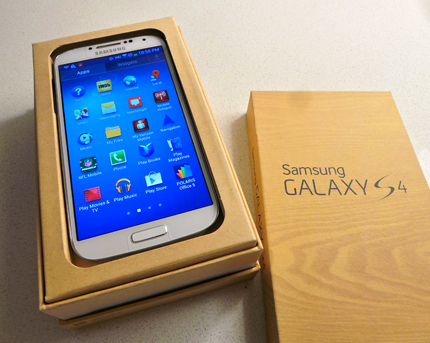 So the real question is, are you ditching your iPhone for the S4? The photos are so clear! Also, thanks for all the suggestions on apps. I'm also primarily an iPhone user so the whole Android universe is still foreign to me! Loved meeting you in OC! 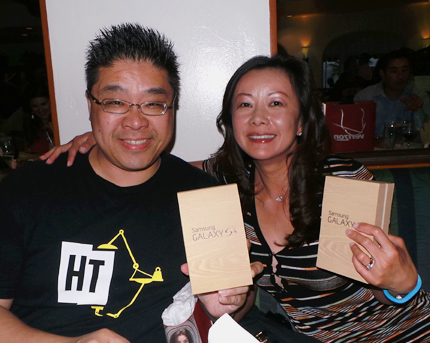 Calvin, love how you brought the fun & excitement of the event to life with this post. I love Samsung devices & the G4 is a terrific phone, gorgeous screen, buttery smooth & oh so light weight. This is so funny I came to visit you today and then realized you had all these pictures up :) I'm definitely a happy girl LOL :) I hope you had a great time in NY and Disney - Love the updates of course.